Here's another Ideas contest focused around the Ford Mustang. "From the classic muscle cars to the high-performance sport vehicles of today, the legendary Ford Mustang has been seen in many different memorable styles over the years. Which model has been your favorite so far? 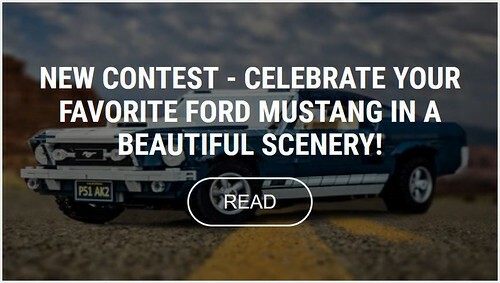 We challenge you to build your favorite Ford Mustang in a scenery where you would take it. So, get ready to head out on a brick-built road trip down memory lane!" Entries are accepted until the 3rd of April, 2019 at 6:00 a.m. EST. Find out more about the contest on LEGO Ideas.